The rules and requirements which apply to conveyancing vary according to whether the property is leasehold or freehold. This may also affect the complexity of the process involved and may be a factor to take into account when deciding whether to do one’s own conveyancing. The ownership of land can be complex and, in legal terms, the purchaser of a property may be buying rather more (or less) than bricks and mortar. The extent to which the property – or the land it sits on - will actually be owned may affect a number of other things in addition to the complexity of the conveyancing. For example, it may be easier to get a mortgage on a property which is freehold than on one which is leasehold – especially if the lease does not have long left to run. When a purchaser buys the freehold on a property they own the property and the land on which it sits entirely and without time limit. Nobody else – other than any joint owner – has any ownership of the property. Of course, if a mortgage is required to fund the purchase, or the property is subsequently required as security for a loan, the lender will acquire an interest in the property. 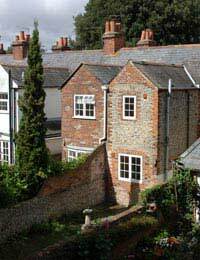 Freehold is the most straightforward type of property in conveyancing terms. Leasehold ownership means that the purchaser is buying the right to use the property for a fixed period of time. Depending on the type of property there are likely to be service charges and ground rent to pay as part of the terms of the lease. Technically the owner of the leasehold is a tenant of the land on which the property is situated and therefore a rent must be paid for it. Service charges will apply where a management company provides services such as cleaning of communal areas and gardening. The length of the lease can vary substantially. Some leases may be for a very long period, such as 999 years, that clearly extends far beyond the life expectancy of the purchaser or their descendants. The reason for this may be so that the freeholder retains residual control of the property whilst, for all practical purposes, there is no real limit on the period of ownership of the property. Conversely, leases for a much shorter period – and certainly for less than 100 years – may have a serious impact on the value of the asset being purchased. The fewer the years left to run on the lease, the lower is likely to be the relative value of the property. Leases can be lengthy and complicated legal documents which may include numerous rules, regulations and restrictions regarding the property’s use. Anyone considering buying a leasehold property should check the terms of the lease before agreeing to buy. The lease could include clauses that may impact on the way in which the property may be used. For example, it may restrict the ability to keep pets or to run a business from the property. The potential complexity of leases can lead to a much more difficult conveyancing process than in the case of a freehold transaction. If the vendor is unable or unwilling to supply a copy of the lease it should be possible to obtain one directly from the Land Registry, although a small fee may be payable. It would be well worth paying this fee to avoid any nasty shocks after exchange of contracts or completion of the sale. A leaseholder may also own a part of the freehold of the property. In some developments of flats the leaseholders may own shares in a company which itself owns the freehold of the development. This may give the leaseholders more power (as a group) to bring about changes in the way the development is run or in relation to the terms of the lease. However, they will still be leaseholders and will have to pay the relevant service charges and ground rent. Alternatively some property, such as a block of flats, may be owned as commonhold, which is a relatively new form of property ownership. In the case of commonhold the owners of the flats (the unit-holders) also jointly own the freehold of the common parts of the development and are jointly liable to pay for the maintenance and upkeep of the development. However, as commonhold owners, they should not have to pay ground rent or service charges. Commonhold owners will jointly have more power than leaseholders to influence how a development is managed.